We're now at the midpoint of the NFL season, and while some things are beginning to take shape, there's still plenty of football left to be played. 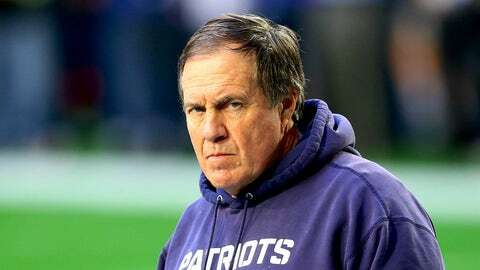 Here's something every team needs to address in the second half of the season. 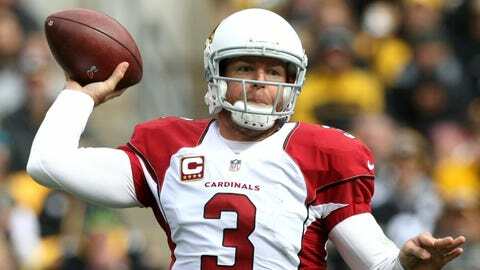 The Cards are 11th in the league in passing yards per game, but have the talent to rack up much more than that. Carson Palmer needs more protection from his offensive line, however, in order to see a significant increase in production. The Falcons can put up points as well as anyone, but unfortunately they give them up just as easily. 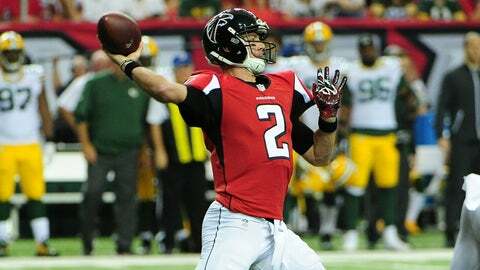 Atlanta is tied for 29th in the league for most passing yards allowed through the first half of the season. Baltimore ranks 30th in the league in yards per pass attempt. 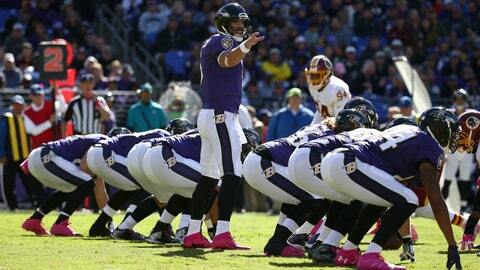 At some point, Joe Flacco & Co. are going to need to find a way to turn the offense loose. 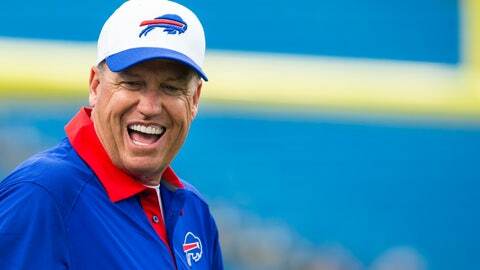 The Bills rank 31st in the league in passing yards per game. The rushing attack can only do so much. 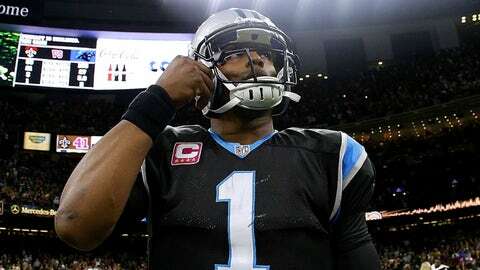 Cam Newton's postgame whining after losses isn't doing anything positive to help team morale. But the offense isn't the problem for the Panthers, considering they rank fourth in the league in points per game. The defense is ranked 30th in passing yards per game allowed, which makes it difficult for Newton to keep up when he's being battered behind the line of scrimmage. 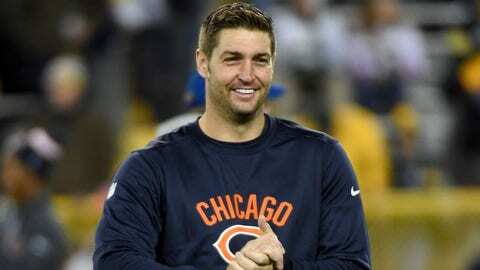 The Bears need to move on from Jay Cutler, but with the injury to Brian Hoyer, he's the only option they've got. The Bengals need to score points. 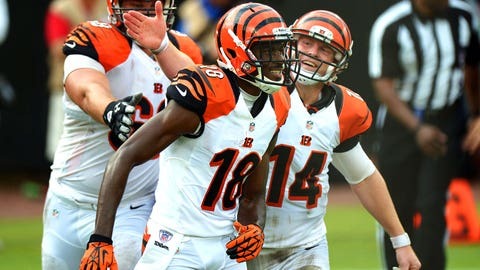 They rank just 21st in the league in points per game, yet Andy Dalton is fourth in the league in passing yards, and A.J. Green leads the league in receiving. Where do we begin? 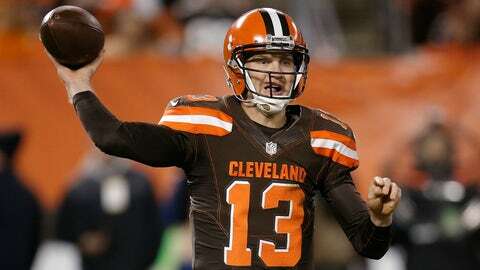 The Browns have problems everywhere, but quarterback -- where the team has had three different starters this seasons -- should be at the top of the list in terms of things that need to be addressed. 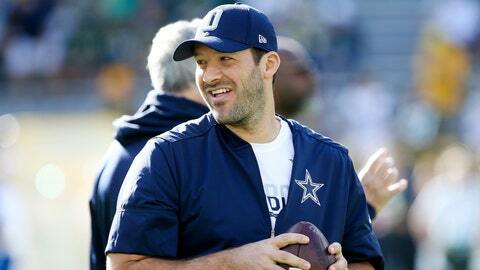 The Tony Romo-Dak Prescott quarterback controversy is the only thing that can seemingly derail Dallas this season. Jerry Jones continues to be coy about the situation, but a firm decision one way or another is what this team needs to move forward in the second half of the season. Trevor Siemian has been serviceable, but let's face it: The Broncos are winning games based on the strength of their defense. 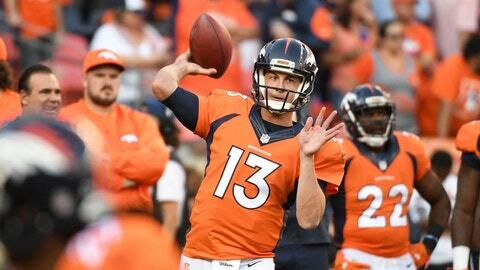 The quarterback play needs to improve if Denver is going to have a chance at returning to the Super Bowl this season. The Lions have no running game. 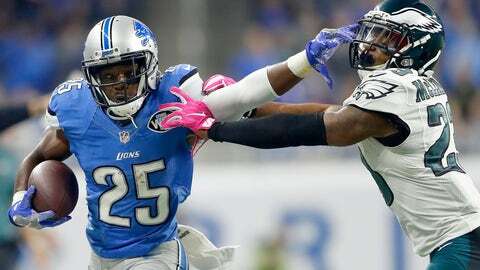 They rank just 27th in the league in rushing yards per game, which puts too much pressure on Matthew Stafford to try to win games by himself. Much like the Lions, the Packers have no rushing attack. 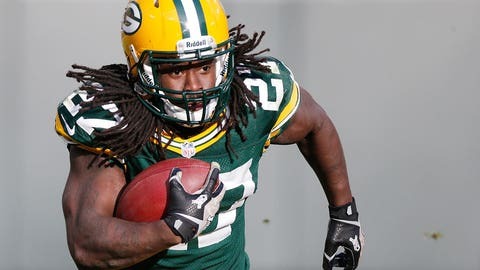 Eddie Lacy is out for the season, and Green Bay has no other reliable options on the roster. 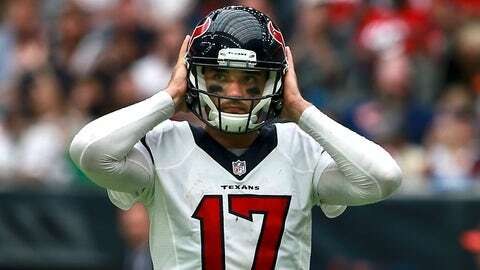 Brock Osweiler is not only a problem this season, but he'll be a problem in Houston in the future thanks to the contract the Texans handed him in the offseason. If Osweiler can't become at least a competent NFL quarterback, the Texans franchise will have taken a huge step back. 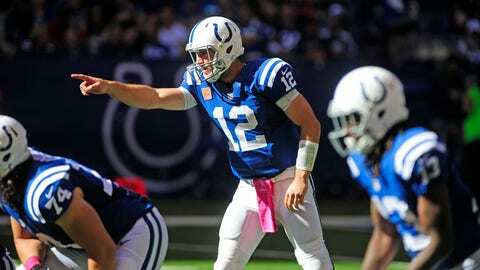 The Colts can't run the ball or stop the run with any sort of consistency. 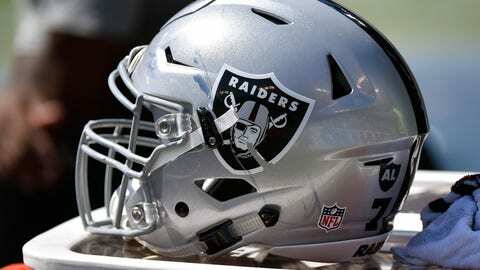 The team ranks in the bottom third of the league in rushing on both sides of the ball. 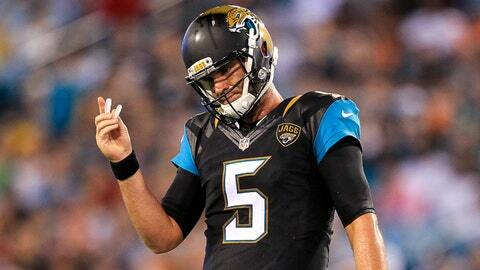 After three-and-a-half seasons and a combined record of 10-26 as a starter, it should be crystal clear that Blake Bortles is not the answer at quarterback for the Jags. 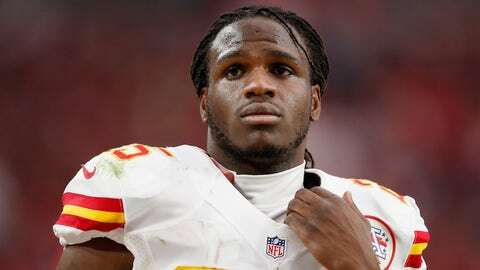 The main issue facing the Chiefs is whether Jamaal Charles will be healthy enough to give them a consistent amount of production this season. Charles hasn't played since Week 3, and the Chiefs are 5-2 this season. They'd be even better the rest of the way if their star running back was able to return to form. 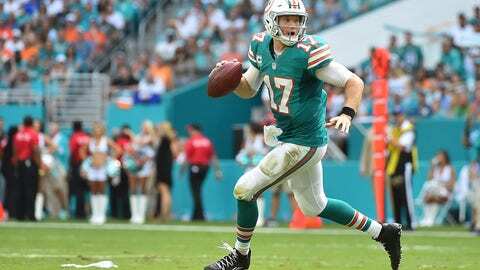 Ryan Tannehill has started every game for the Dolphins for the past four-and-a-half seasons, and the team is just 32-39 in those games. It's probably time to go in a different direction. After Monday night's dismal performance in Chicago, it's clear the Vikings have problems on the offensive side of the ball. 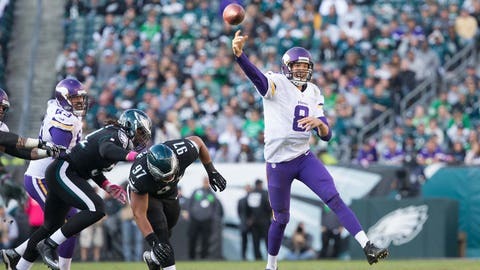 Sam Bradford can't get the protection he needs on a consistent basis, and if the defense doesn't dominate, Minnesota can be beaten fairly easily. The Patriots have been rolling since Tom Brady's return, and it seems that the best way to beat them may be to try to outscore them. New England hasn't shown much of a pass rush lately, logging just four sacks over their past three games. If they face a prolific offense capable of throwing the ball with precision, there could be trouble on the horizon if the lack of pressure on opposing quarterbacks continues. The Saints can score as well as anyone, and they have to, because they rank 31st in the league in points per game allowed. 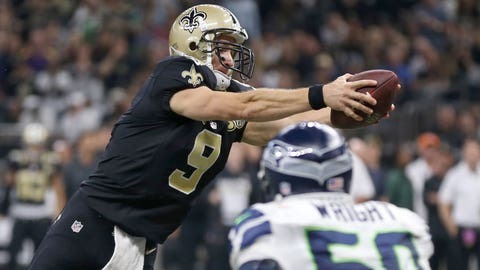 Sean Payton used a more balanced attack in the win over Seattle, and a successful running game will be important moving forward to keep the defense off the field as long as possible. The offensive line has been of zero help to Eli Manning and the rest of the Giants offense. New York ranks dead last in the league in rushing yards per game. The Jets are a mess at a lot of positions, but quarterback is the one most glaring. 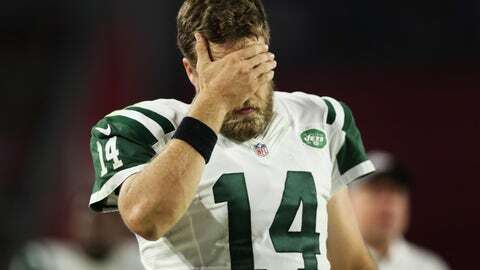 Ryan Fitzpatrick was benched in favor of Geno Smith, then was pressed back into action after Smith was injured. New York will almost certainly need to go in another direction at the league's most important position next season. Can you say discipline? The Raiders may have beaten the Buccaneers this week, but 23 penalties for 200 yards in a single game is normally a recipe for disaster. 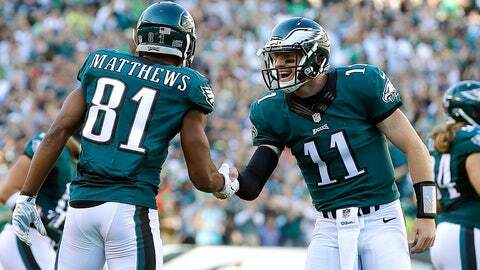 The Eagles lack the wide receivers that would give Carson Wentz the opportunity to make more big plays. Philadelphia ranks just 29th in total passing yards this season. 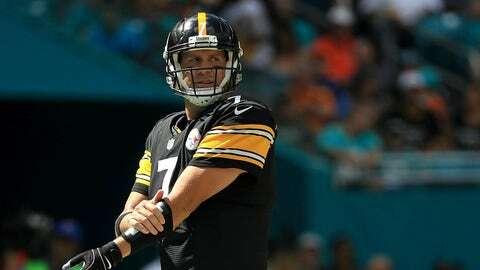 A healthy Ben Roethlisberger makes Pittsburgh one of the AFC's best, and he's back at practice just two weeks after knee surgery. The sooner he's back and able to play, the sooner the Steelers can re-focus and try to get right for the season's second half. 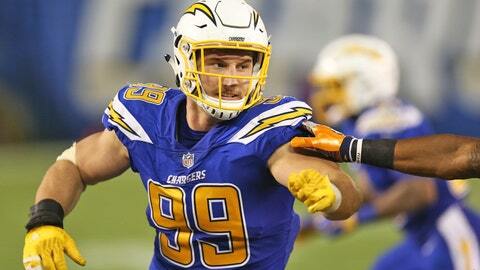 The Chargers have been better defensively since Joey Bosa hit his stride, but the run game may be what's holding the team back. The Chargers rank just 27th in the league in yards per rushing attempt, and they had 51 passes versus 26 rushing plays in their latest loss to the Broncos. 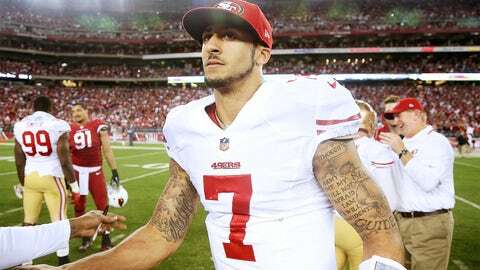 Blaine Gabbert isn't the answer at quarterback, and neither, apparently, is Colin Kaepernick. Until the 49ers address this position, it's not worth discussing the many other deficiencies on the roster. 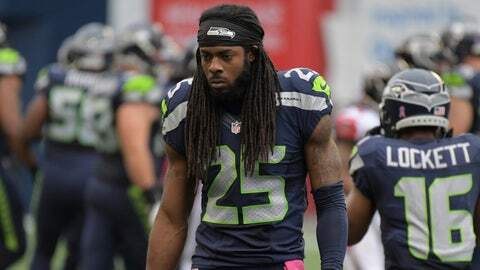 Seattle has injury issues on the defensive side of the ball, and for a team built on defense, that doesn't bode well for the remainder of the season. Michael Bennett will be undergoing knee surgery this week and is out indefinitely, while Kam Chancellor was sidelined for the loss to the Saints. 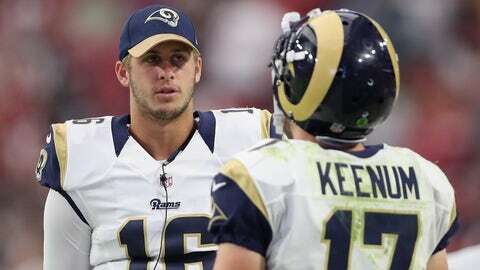 The Rams need to begin to get Jared Goff some reps as the team's starting quarterback, and it's not a great sign that Jeff Fisher believes Case Keenum gives his team a better chance to win. L.A. is 3-4 and second in the division, so Fisher is going to go with the guy he thinks can win now -- even while sacrificing Goff's much-needed development. Tampa Bay's defense ranks 25th in the league in points per game allowed. 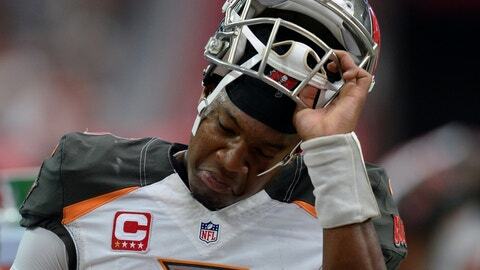 That's a lot of pressure to put on Jameis Winston and (at best) a middle-of-the-pack offense. 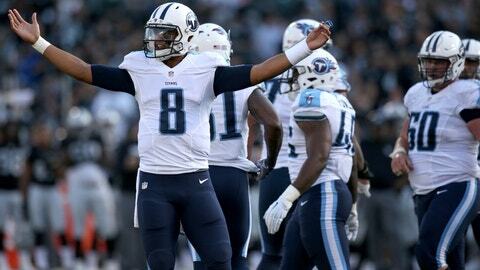 The Titans have won three of their past four but could benefit from a stronger passing attack. Marcus Mariota ranks just 24th in the league in passing yards per game, and turning him loose even more might make Tennessee even more difficult to deal with offensively. 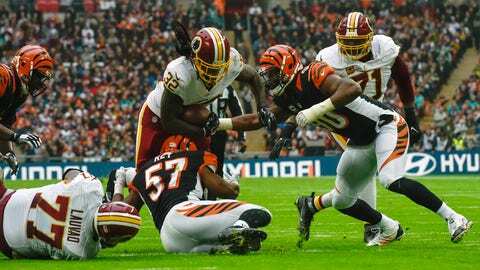 The Redskins don't have much of a running game to speak of, and their play-calling shows it. 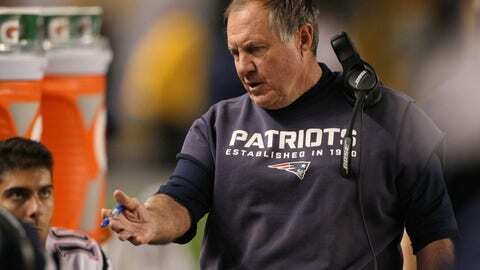 They threw the ball 56 times versus 28 called running plays in the tie with the Bengals.